Unfortunately, I only started collecting when Combiner Wars started, so I don't have any iterations of the classic Seeker mold, but if you wouldlike to make size comparisons, I'd be happy to help. I personally love the little guy, he's such a small bundle of joy. For some reason I thought they would just be slightly larger than the 3P Minibots, rather than identical size, so I thought I could display them next to deluxe Seekers. Ah! You've got a good eye. Yeah, it's a dakimakura pillow of Kousaka Tamaki from To Heart. I'm sure the old lady was thinking WTF but she knew what she was getting into 18 years ago hahaha... but those years are past us now. We are still amicable but I'm sure there's gonna be some days where things will be awkward, especially if we see each other dating other people in the future. My psyche in the meantime is doing OK, just doing the moving out procedure, it's going smoothly with not too much of a hiccup. Luckily, there's no kids between us, except for 2 older dogs and 1 younger rescue dog at home that we have joint custody of, so separation paperwork is not messy at all. Love the IF Red Alert, don't tempt me, man! A3U has it available right now (I think), and they're only 35 mins away from home. I've looked at him many times, and I've walked away, don't know how long I can resist before I cave. Such a showoff! I’ll make Thrust my favorite today just to get him to shut up. 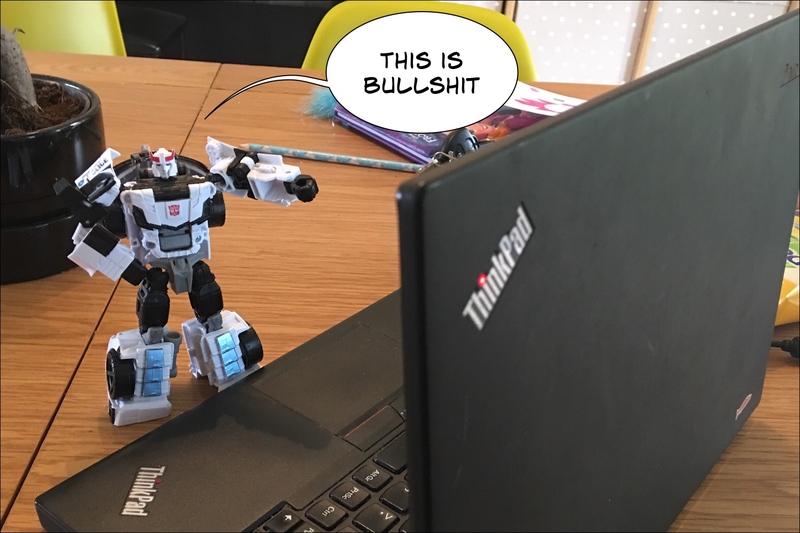 All-time fave deskbot isn’t impressed with what I do for a living. 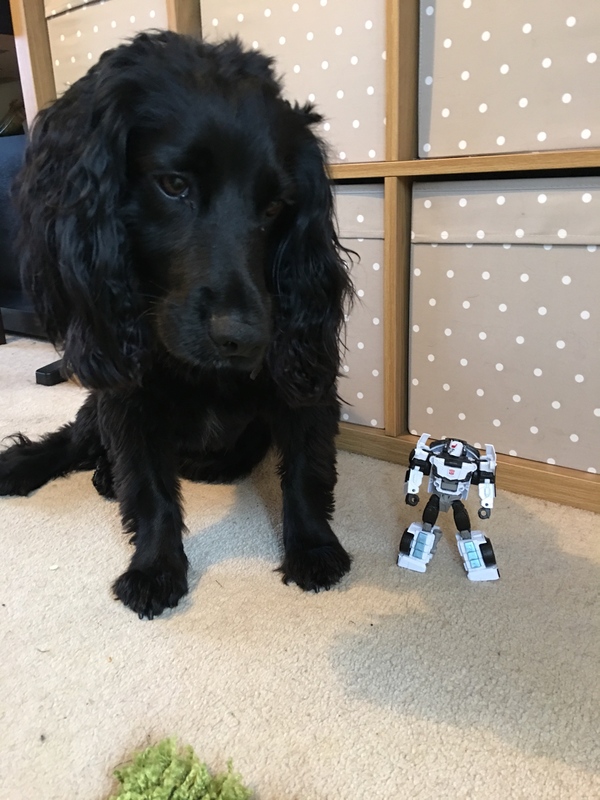 It's like Prowl can read the scowl on my face without even seeing me. Three weeks to go until I move to a saner department. Power of the Primes Rodimus Unicronus for today. Enjoying the good Doctor today. I saw him in the store yesterday and thought he looked pretty awesome! I think if he's still there today I'm going to grab him. I like his deco way better than the first one. For me today goes to the SS VW Bee! I love this little guy! The 'bots are back in town! This town is ready to do some curb-stompin'! T30 Metroplex, the original Titan, for today.